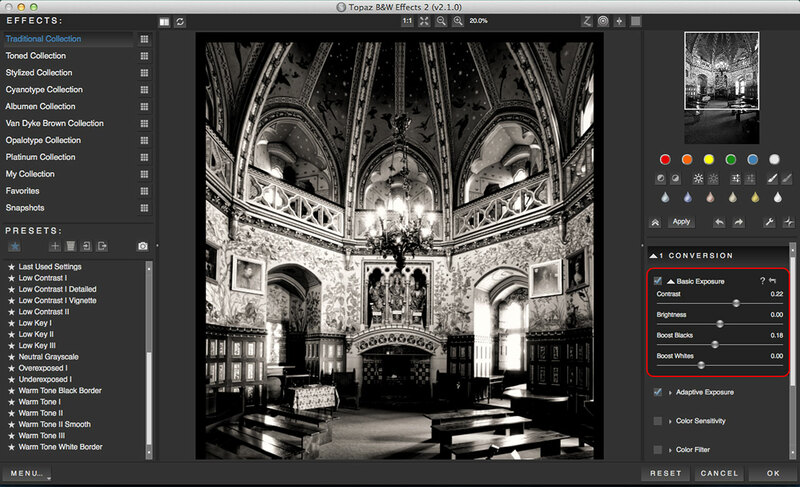 Topaz B&W isn’t short of striking-looking presets, and its variety is one of its strong points. It does subtlety too, though, and I particularly like this Warm Tone Black Border preset. 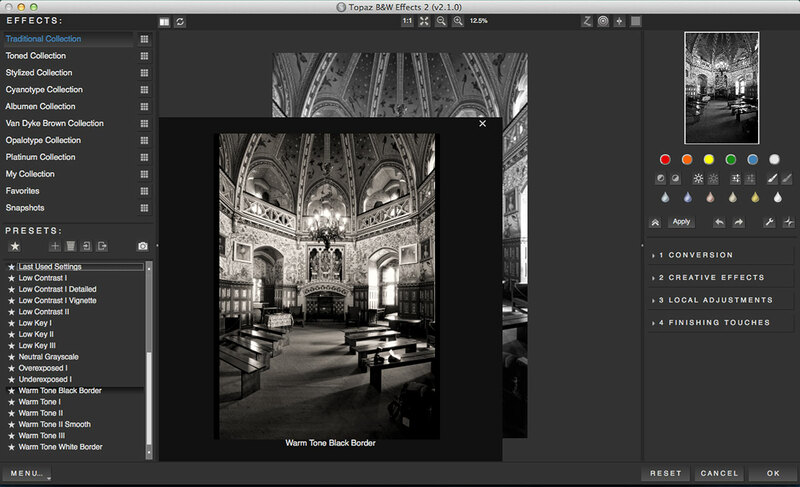 As you move the mouse over the different presets, Topaz B&W displays a large-scale preview; when you click the preset, it’s applied to the image itself in the main window. Once you’ve chosen a preset, you can adjust its settings manually using the tools on the right. These are arranged into four panels, and I’m using the first – ‘Conversion’ – to tweak the image’s brightness and contrast. You can use the zoom tool on the top toolbar to zoom in on an area of the picture, and scroll around the image using the navigator panel at the top of the right sidebar. The Adaptive Exposure section reveals a set of more sophisticated tools which I’ll look at more closely another time. These appear to offer local rather than global brightness and contrast adjustments, and it’ll be interesting to see how these compare with the tools in Silver Efex Pro. Here, I’ve used the Protect Shadows slider to bring out a little textural detail in the darkened carpet in the base of the picture. Previous Previous post: Is there an Aperture Google Nik Collection problem? 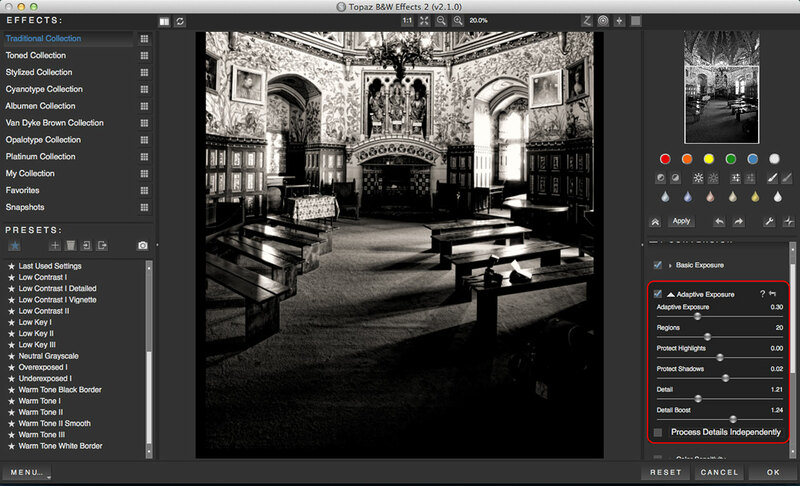 Next Next post: How to use the Aperture chromatic aberration correction tools – and why!